If foot, ankle and calf sizes are an issue with finding the right slippers, we have a solution for you. 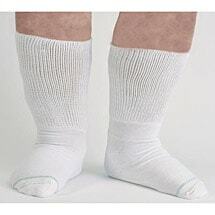 Non-binding slipper socks for even the widest of feet and ankles that will not bunch nor fall down. Double sided, so if they spin on your feet, there is always traction on the bottom to help with sure-footing. 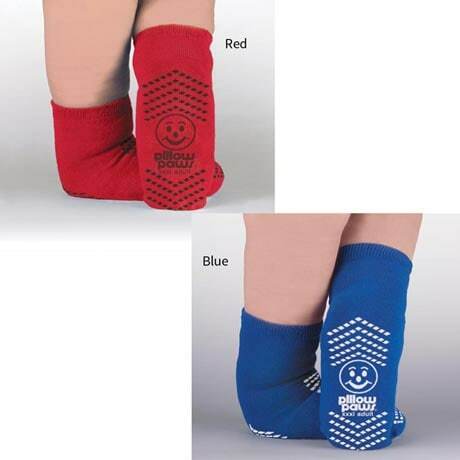 Sold as a two pack-one pair blue, one pair red.